Amid this week’s tidal wave of pantomimes there are new openings in London and around the UK, some of them entirely free of men in comedy frocks. This feels like the perfect fit of artist and material. 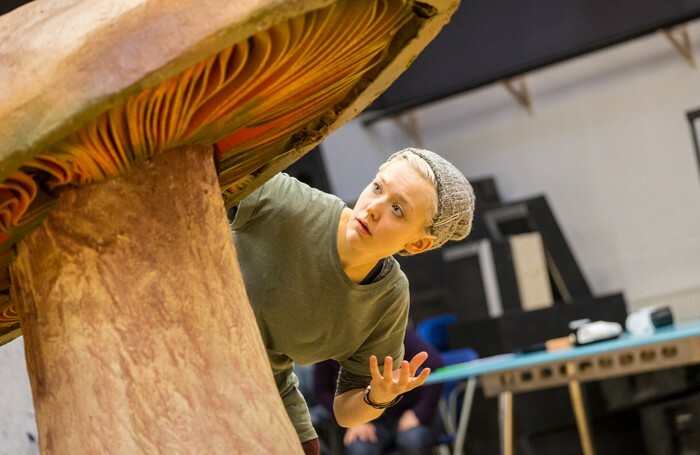 Following the wickedly funny Unreachable at the Royal Court, Anthony Neilson turns his attention to that most twisty of children’s classics, Lewis Carroll’s Alice’s Adventures in Wonderland for Edinburgh’s Royal Lyceum Theatre. It opens on December 1. The winter season at the Sam Wanamaker Playhouse continues with The Little Match Girl (and Other Happier Tales), inspired by the fairy stories of Hans Christian Andersen. 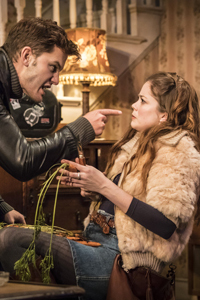 Directed by Emma Rice (her first production at Shakespeare’s Globe since the announcement she is to step down), it stars Told by an Idiot (and frequent Kneehigh collaborator) Paul Hunter. As critic Alice Saville recently pointed out, lesbian narratives are “vanishingly rare” on stage. Not so at the Hope Theatre. Its latest in-house production is of Bryony Lavery’s lesbian Mills and Boon musical pastiche Her Aching Heart. The Hope artistic director Matthew Parker directs and it opens on December 1. Theatre and libraries are a natural fit. They are both about the sharing of stories and the creation of welcoming community spaces. 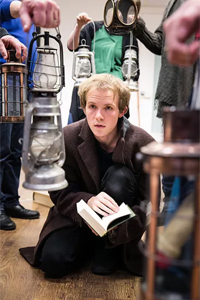 Wimbledon Library now houses a 250-seat performance space and the Attic Theatre Company production of (the fittingly literary) Great Expectations opens there on December 2. Pokfulam Rd Productions presents Foreign Goods Last Forever, a night of new writing by six UK playwrights of Chinese and South East Asian descent. It takes place at Theatre503 on November 29. After the current flurry of women playing Shakespearean males, from Glenda Jackson in King Lear to Harriet Walter as Prospero, Brutus and Henry IV, the National has a female Captain Hook (Anna Francolini, replacing an injured Sophie Thompson) in a stage version of JM Barrie’s classic Peter Pan. Directed by Sally Cookson, who first staged it at Bristol Old Vic in 2013, it opens at the National on December 2. James Graham’s brilliant play about minority government politics, This House is based on James Callaghan’s 1974 struggle to remain in power. First seen at the Cottesloe, National Theatre, in 2012, before moving to the Olivier, it now arrives, via a Chichester run, in the West End, opening on November 30. I interviewed the playwright earlier this year. Ed Harris and his real-life wife Amy Madigan star in a revival of Sam Shepard’s Pulitzer prize-winning play, Buried Child, that they first did Off-Broadway earlier this year. New cast members include Jeremy Irvine, who I recently interviewed. Nikolai Foster directs a revival of Grease, starring Dex Lee as Danny Zuko and Jessica Paul in her stage debut as Sandy, opening on December 1. A commercial tour of the same show kicks off in a different production in Manchester from March 10. The musical by Henry Krieger, who is newly represented by Dreamgirls in the West End (and is the subject of an interview in The Stage this week), closes on December 3.